I saw a light from heaven, brighter than the sun, shining around me and those who journeyed with me… So I said, “Who are You, Lord?” And He said, “I am Jesus, whom you are persecuting.” § Jesus took Peter, James, and John his brother, led them up on a high mountain by themselves; and He was transfigured before them. His face shone like the sun, and His clothes became as white as the light. 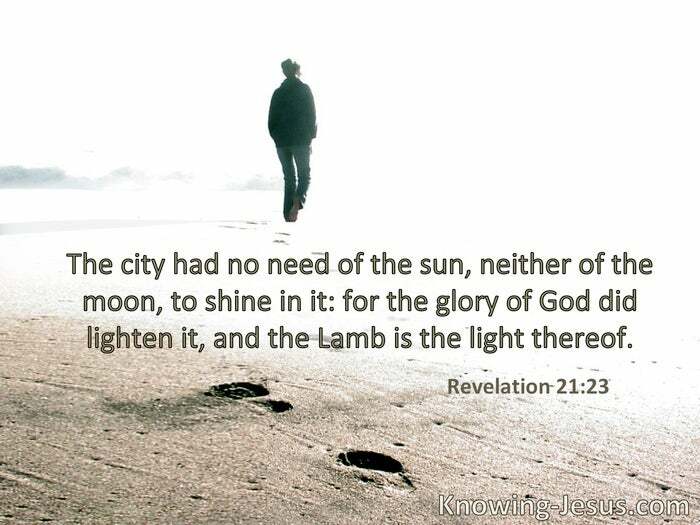 § The sun shall no longer be your light by day, nor for brightness shall the moon give light to you; but the Lord will be to you an everlasting light, and your God your glory. 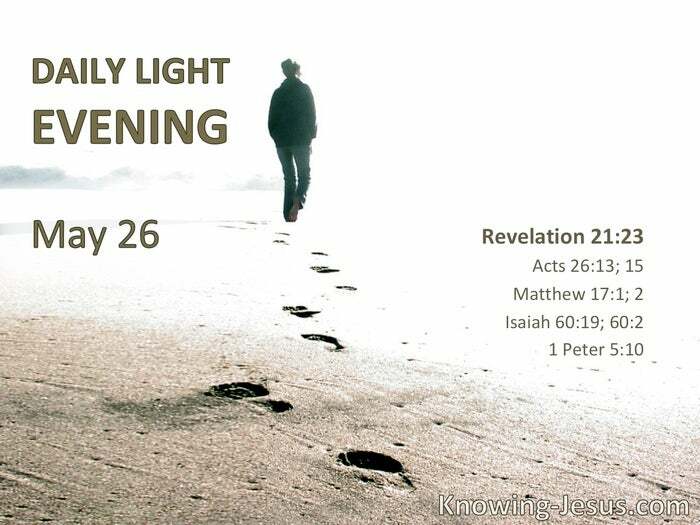 Your sun shall no longer go down, nor shall your moon withdraw itself; for the Lord will be your everlasting light, and the days of your mourning shall be ended. The God of all grace . . . called us to His eternal glory by Christ Jesus.